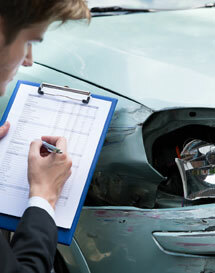 The Agent's Choice is a North Carolina Department of Insurance approved insurance education school providing Pre-Licensing Education and Adjuster Education in North Carolina. Guided by relentless focus on our courses, we constantly strive to present the student with the most up to date, comprehensive material available. We are dedicated to delivering excellent customer care and commitment in every aspect of the student’s education experience. Earn your examination admission ticket to sit for the state insurance exam by completing The Agent's Choice PLE School insurance pre-licensing education courses. Our courses are geared to give you the knowledge you will need to pass the state Insurance Exam. Whether you choose to learn strictly online or with a book, we've got you covered. Our North Carolina Adjusters course provides everything Adjuster Candidates need to know to pass the North Carolina state exam. The course includes the Adjusters specific material not typically found in a Property and Casualty course. This specific material makes up approximately 18% of the questions on the state exam. The Agent's Choice PLE School offers North Carolina insurance prelicensing textbooks for any person preparing for the state insurance exams. All textbooks are North Carolina specific and not designed for a national audience that contain information not required for the North Carolina state exams.